The Caisse Desjardins branch manager responsible for the decision to remove a banking machine from a Quebec City rehab centre has now apologized for saying that servicing "vulnerable clients" is not part of the credit union's mission, but the ATM will still disappear on Jan. 25. The banking machine served as a learning tool with the patients at the rehab centre, to help them to familiarize themselves with the process in a serene environment. 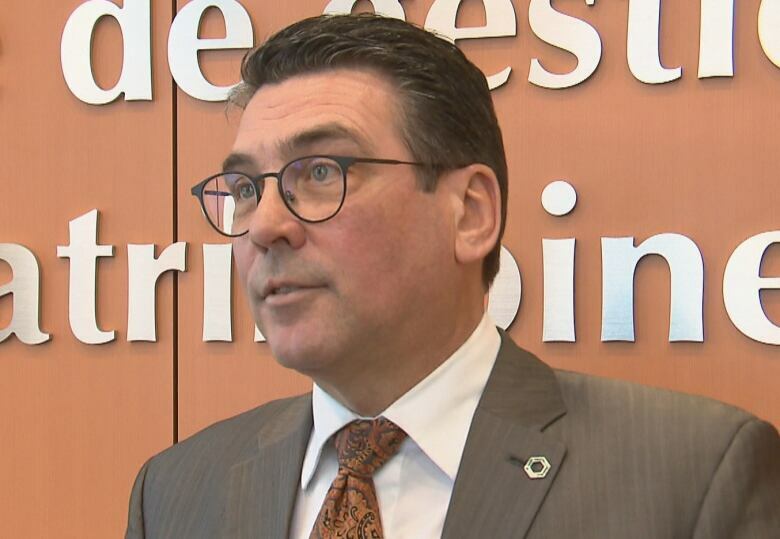 The Caisse Desjardins manager responsible for a decision to remove a banking machine from a Quebec City rehabilitation centre has now apologized for saying that servicing "vulnerable clients" is not part of the Caisse's mission — but the ATM will still disappear on Jan. 25. Caisse Desjardins closed six ATMs in the Quebec City region in 2018 — 92 in total, across Quebec and Ontario. However, the latest to go is causing a stir, because it is located in the entrance of the Institut de réadaptation en déficience physique de Québec (IRDPQ), a rehab centre for people with physical disabilities and those recovering from major trauma. Desjardins said the ATM will be removed because too few people are using it, however, users and their advocates say that will make it more difficult for the people using it to regain their autonomy. "It's taking away from our autonomy and accessibility," said Danielle Bolduc, who lives with hearing and vision impairment. "I come to get services here, and it was practical to be able to get money at the same time." Bolduc's adapted transportation service brings her directly to her appointment at the centre and doesn't make extra stops along the way, so that Bolduc could do her banking. Robert Labbé, who learned how to use his wheelchair at the centre, said he's also "upset and disappointed." Labbé said the nearest banking machines are across Wilfrid-Hamel Boulevard, inside the Fleur de Lys shopping mall. Getting across the busy thoroughfare, especially in winter, is not always a possiblity for people who are just recovering from an accident, he said, or for those who live at the rehab institution on a long-term basis. He said clients pay for banking services like the ATM, but the quality of service keeps going down. 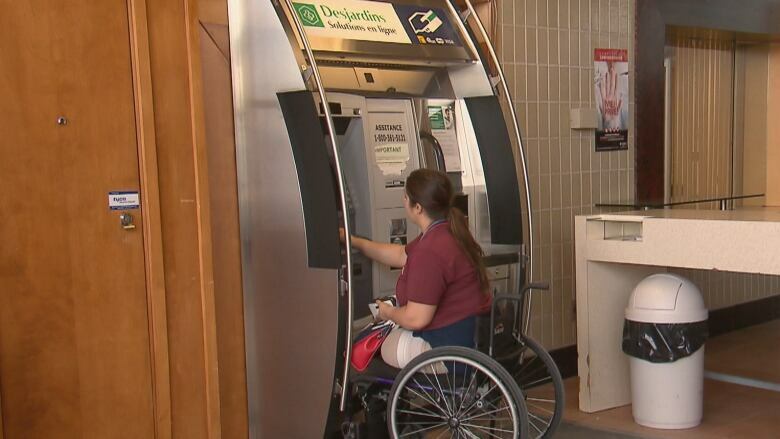 The Caisse Desjardins had been considering removing the ATM from the rehab centre for several years, said the general manager of the Caisse de Québec, Denis Laforest, earlier this week. He said there are 1,500 transactions on average each month, and it generally takes 7,000 transactions to cover the cost of operations. Laforest said the fact that Desjardins is a co-operative movement has little to do with the location of its ATMs. "It's not written anywhere in our mission that vulnerable clients must be serviced by the Caisse," he said, arguing that the credit union has to remain competitive. On Thursday, Laforest apologized in a statement for what he admitted was a poor choice of words. "I expressed myself poorly, and those words don't reflect either my thoughts or those of the Caisse and the Desjardins movement," he said. He pointed out that he is personally involved in two health-care foundations — one that raises funds for the regional health agency in Quebec City, and one that is focused on seniors and social innovation. The Caisse de Québec also returns some $800,000 annually to support community initiatives, including two homeless shelters. However, Laforest did not announce any reversal of the Caisse's plan to shutter the rehab centre's ATM. Laforest said he worked with the rehab centre to find alternatives, for example, by adding terminals at the cafeteria and in the gift shop to allow withdrawals. But those alternatives don't satisfy Danielle Giguère, an occupational therapist at the centre. She said Desjardins's ATM machine allowed patients to practise real-life rehabilitation exercices under staff supervision. "Someone who has suffered a head injury, for example, has to learn the sequence all over again," said Giguère. The ATM is located in a good learning environment, she said, in a space that's less stressful for patients than a regular ATM spot, with people in line behind them "tapping their foot" with impatience. 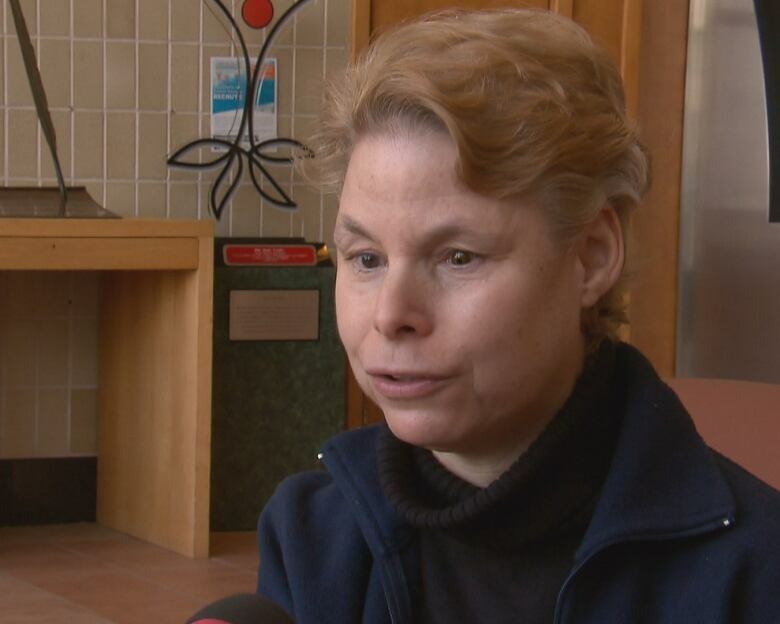 The president of the rehab centre's users committee, Véronique Vézina, said therapists now try to go directly to the person's neighbourhood ATM to practise, when possible. Desjardins has also offered to train therapists to use its online banking tools. But Vézina said these aren't necesarily accessible to people with certain disabilities. Vézina said with fewer and fewer service points across the city, people with physical disabilities are often "the first to see the impact on their autonomy."